Ostensibly about one man's life, and told from a particular Afro-Caribbean point of view, this novel is about the dreams, passions and struggles of individuals caught up in the flux of 20th-century history. An epic tale of one man's quest to fulfil a mission, which tells the story of this century from a particular Afro-Caribbean point of view. Marshall Sargeant is born with the century in Paradise, on the island of Jamaica. As a young man, he is entrusted with a mystical quest, to overcome a curse that has been put on his family and he must do this by returning to Africa, whence they were brought as slaves. 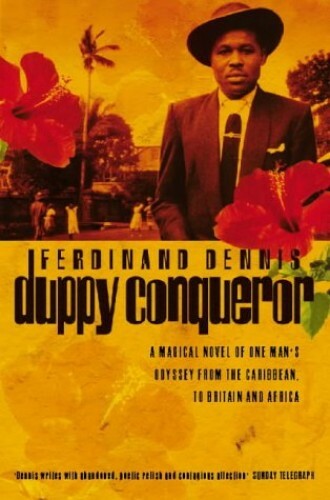 In his strange and sometimes magical childhood, it seems inconceivable to Marshall that he should ever leave the island, but eventually he does, travelling first to wartime London, where he marries and mixes with a clubland crowd of musicians, and politicians, and then on to Africa and the struggle to escape from the colonial past. Marshall's life turns full circle in his epic mission to defeat the duppy, or ghost, that started him on his voyage. In the telling of Marshall's story, Ferdinand Dennis has created a powerful narrative of the African experience, and in its breadth of vision and feeling, a novel that is truly universal.